When you visit the Hague, the Binnenhof (Inner Court) of the Dutch Parliament dominates the lake at the center of the Hague Old Town. The Binnenhof was started in the 1200s and includes the Ridderzaal (Hall of Knights). 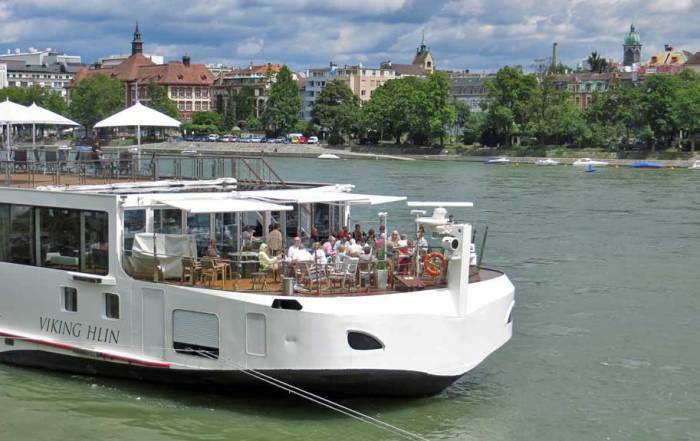 Take a guided tour with ProDemos. 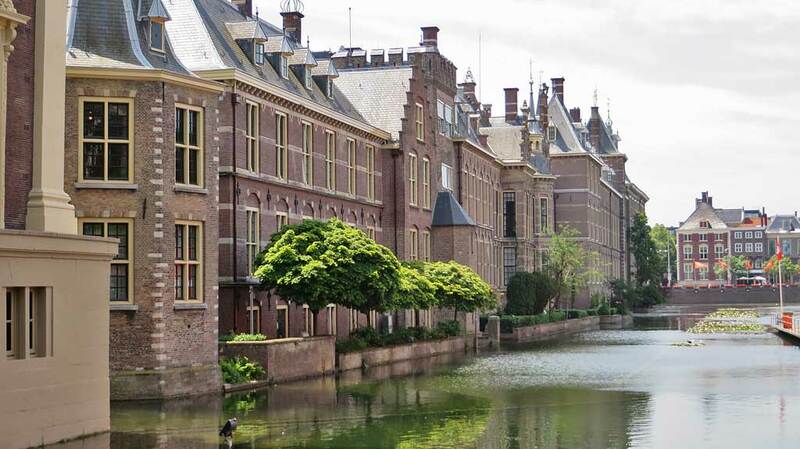 Right beside the Binnenhof at the eastern end of the lake is the Mauritshuis (Royal Cabinet of Paintings). The famous Girl with a Pearl Earring by Vermeer is on display at the Maruitshuis. The Town Square and the pedestrian streets leading from it are found immediately south of the Mauritshuis. The Prison Gate Museum is located at the western edge of the lake and is devoted to the history of crime and punishment. 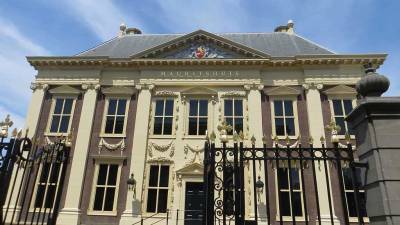 You can start a visit to the Hague Old Town from the Hague Central Train Station. One place to begin is Lange Voorhout street. 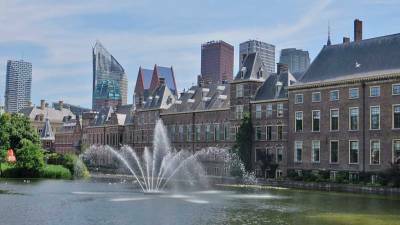 Check out The Hague Walking Tour Map. The Escher Museum features the works of M.C. Eshcer. The Escher Museum is part of the former Winter Palace of Queen Mother Emma of the Netherlands. Hotel des Indes is on the corner beside the Escher Museum. Hote des Indes is part of the palace complex built in the 1850s. The hotel has been operating for more than a hundred years. The bright yellow exterior clashes with its ornate interior. 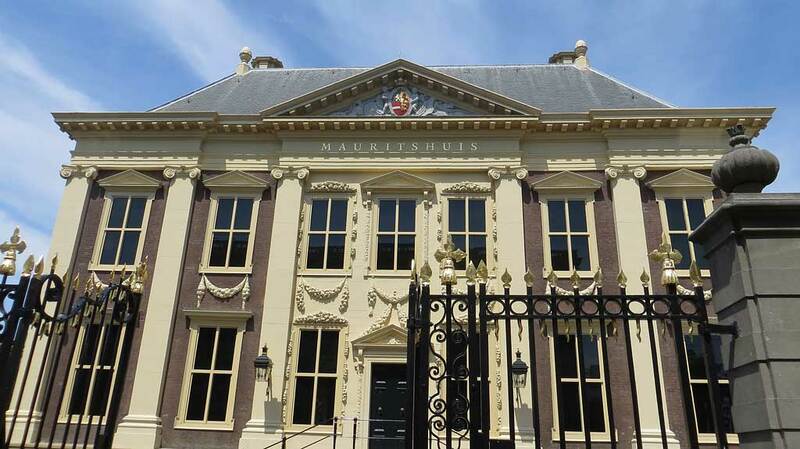 A couple of doors to the west when you visit the Hague Old Town is the Supreme Court of the Netherlands. It is very hard to pick out and is not open to the public. If you walk around the block to the back, the building changes to a modern one with life size seated bronze sculptures of judges presiding pompously over a small parking lot. A bit bizarre both in appearance and in the fact that it’s hidden from the public so well. Continuing through the Hague Old Town past the Supreme Court is the Pulchri Studio of artists on the left and the Pagehuis on the right with its bright red shutters. 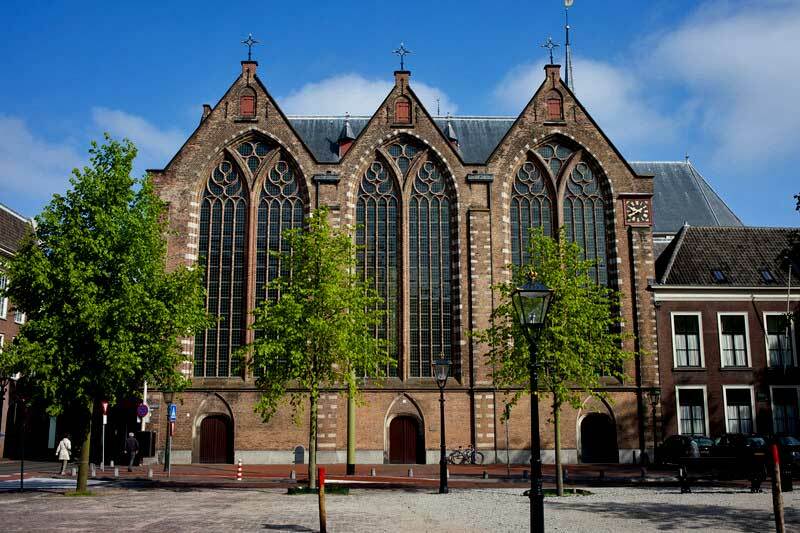 The Pagehuis belongs to the Kloosterkerk (Convent Church) on the corner. The Kloosterkerk was built at the end of the 14th century. The Netherland’s royalty used to attend this church. Continuing past the Kloosterkerk, the magnificent white building at the corner is the Raad van State (Council of State). There is no public access to it. Noordeinde Palace and the Palace Gardens (Paleistuin) are tucked in the northwest corner of Old Town the Hague immediately behind the white Council of Sate building. The Noordeinde Palace is a working palace for Netherland’s royalty. At the northern end of the Palace Gardens are the Royal Stables. The public is not allowed access to the palace or its stables. In the southwest corner of the Old Town is the Big Church. 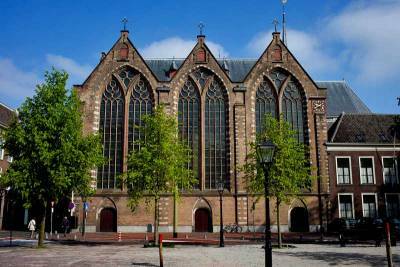 Other names for the Big Church include the Grote Kerk, St. James Church and Sint-Jacobskerk. This Protestant church stand out because of its high tower. The Old City Hall is next to the church. Grand Hotel Amrâth Kurhaus The Hague Scheveningen – famous hotel on Scheveningen Beach, 10 minutes west of the city center. 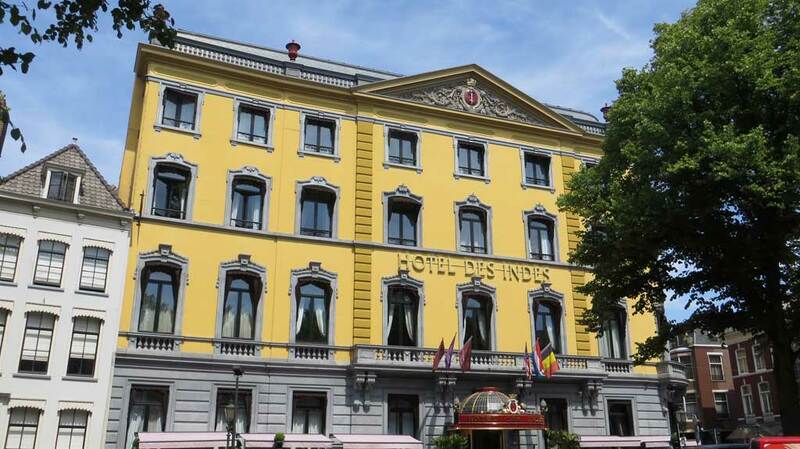 Hotel des Indes – high end hotel built in the palace area of the Hague Old Town. The Palace of Peace, housing the United Nation’s International Court of Justice is located a few minutes from the central part of the Old Town. Also outside the Old Town are the Madurodam (miniature Holland), the Panorama Mesdag (a gigantic cylindrical painting by Mesdag) and the Gemeentemuseum Den Haag with paintings by Piet Mondrian. Travel a few minutes farther to the famous seaside Grand Hotel Amrâth Kurhaus The Hague Scheveningen. You can rent a bike to visit the Hague at either train station. The Hague is one of the best places in the world to ride a bike. You can cover the entire city of the Hague in about 45 minutes. Try Rijwiel shop for bike rentals. 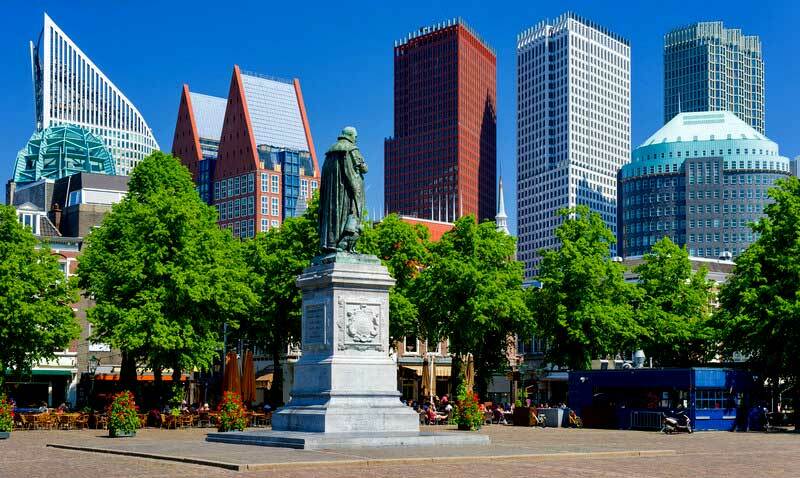 Alternately take a self-guided the Hague Walking Tour from the Hague Central Station to see most of the major attractions in the Hague Old Town. T Hof van Eten – sandwiches and coffees, located in the city center near all the attractions. 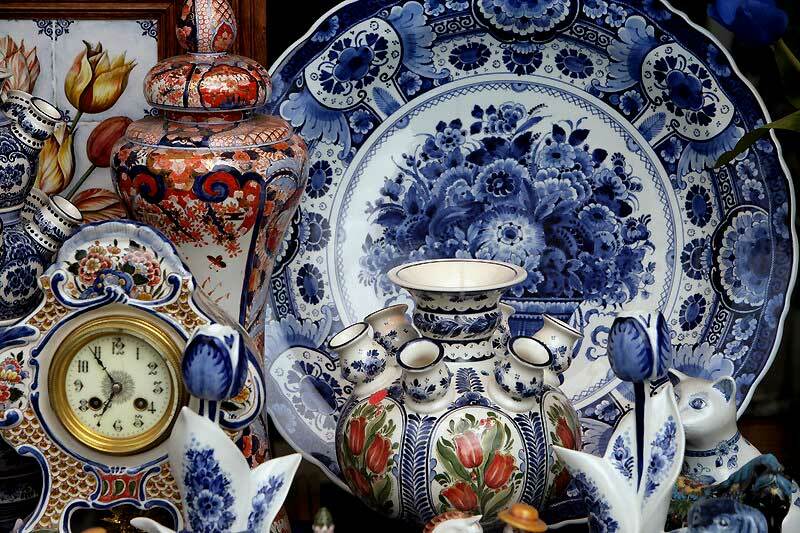 Delft Pottery Factory Tour – Delft is about 20 minutes southeast of the Hague. Blue hand painted tin-glazed earthenware made Delft famous. The only original surviving delft pottery factory from the 1600s is Royal Delft. 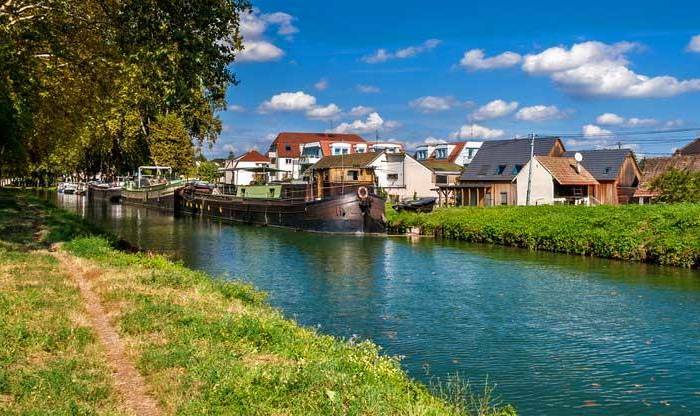 The tour visits the Delftse Pauw factory, which produces more recent pottery, but in the same style.. Don’t confuse this with the picturesque area of Rotterdam known as Delfshaven. Travel 40 minutes south to Rotterdam. 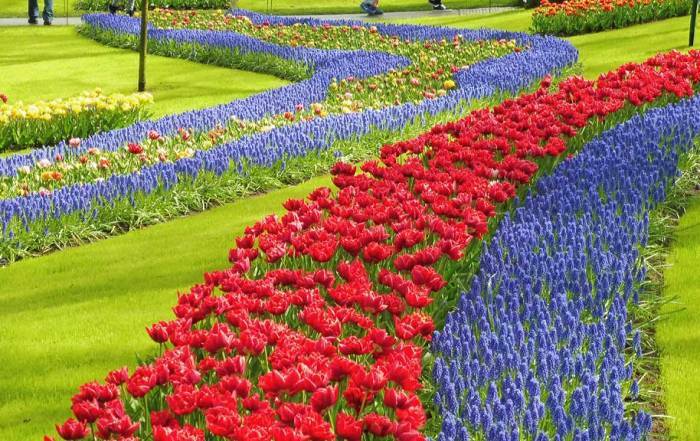 Travel an hour north to Keukenhof Gardens in Lisse – the premier garden stop in the Netherlands. 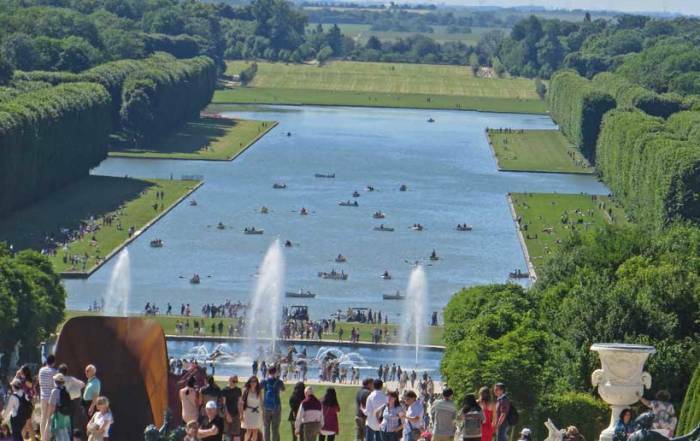 Sorry, but the gardens are only open in the spring, when the tulips bloom. Read about a visit to the Keukenhof Gardens in our Amsterdam Layover blog. The North Sea provides a heavy influence on the Hague weather. That makes the Hague weather cool in summer and usually near freezing in winter. The height of summer is July and August when average highs reach 70 F (21 C), while lows average 56 F (13 C). From December to February, the winter highs average about 44 F (6 C) with lows just above freezing. Rainfall is spread fairly evenly throughout the year, but is slightly lower in April and May. Visiting in the first week of May provides an opportunity for good weather and for catching the end of the tulip season. Rotterdam The Hague Airport (RTM) is located south of the Hague, nearer to Rotterdam. This airport isn’t nearly as big as Amsterdam’s Schiphol Airport, so air passengers are more likely to arrive in Amsterdam and take the train to get to the Hague. There are two train stations in the downtown area. The Hague Central Station (Den Haag Centraal) connects to Amsterdam, while the Hague Holland Spoor (Den Haag HS) connects passengers to Rotterdam. If you are traveling between Amsterdam and Rotterdam, your train will stop at both stations. The Hague Central Station is located in the heart of the Old Town. The transportation system within the Hague is run by HTM. The city also has an extensive network of bicycle lanes. 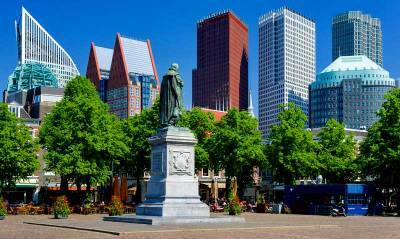 Around 1 million people live the the Hague or Den Haag as the Dutch call it. The city is the seat of government for the Netherlands. 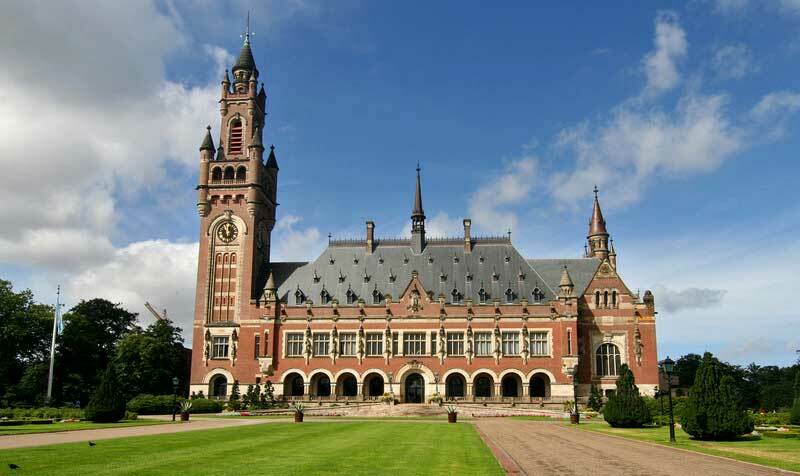 The Hague is also an important center for the United Nations, including its International Court of Justice. 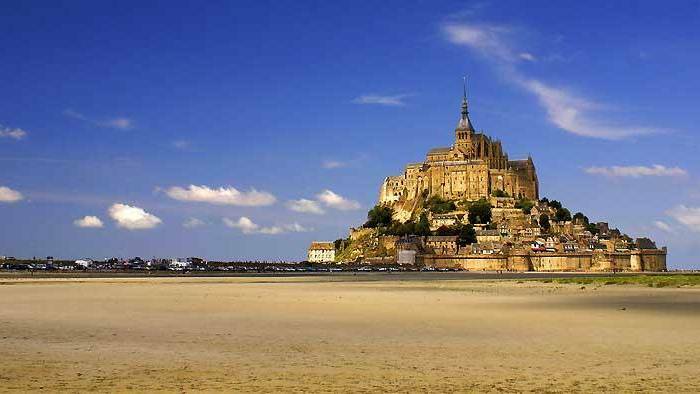 The city was a hunting area for royalty in the 1200s. The Dukes of Burgundy ruled the area in the 1400s and the Spanish owned the Hague for a short period in the 1500s. 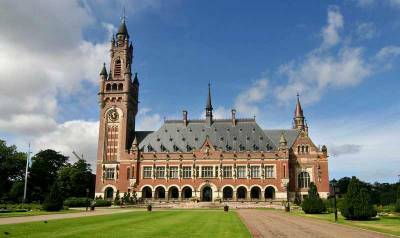 By 1588 the Hague was the center of government for the Dutch Republic. Nazis occupied the Hague during World War II.